During the cold winter months, a warm, cozy fire in the fireplace is just the thing to stay comfortable in your home, especially on those chilly evenings. However, although keeping the fireplace clean may be something you think about, the what you see is what you clean theory is how many feel when it comes to their fireplaces and chimneys. Keeping the chimney cleanis crucial to avoiding fires as well as keeping the air clean of carbon monoxide. Duct cleaning New York can include keeping your chimney clean and free of harmful buildup. We will also check your chimney for any damage that may have occurred over the years. The extreme heat levels that come from your fires can cause damage such as bent, warped and cracked chimney liners. 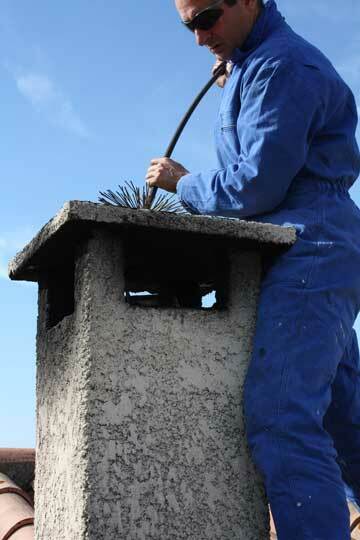 Over the warmer months, it is possible for your chimney to become blocked by birds’ nests or debris from trees. Professionals in air duct cleaning NYC will make sure that there is nothing blocking the chimney so you can have a fire safely. It is also important to keep in mind that over the cold months, while you are using your fireplace, creosote is building up, which is a major cause of chimney fires in the home. Chimney sweep and cleaning in NYC. By keeping your chimney clean, you will be able to enjoy your fireplace without the fear of a house fire and losing your property or risking injury. You can breathe a little easier knowing that the air is not polluted by chemicals that have built up in your fireplace as well. Give us a call and we can provide you with a free estimate to come out and clean your chimney. We use nothing but the best technology to get the job done the right way the first time, and ensure that you and your family can continue to enjoy your fireplace safely.